From February this year, Delhi Metro stations will also serve as terminals for e-commerce sites. Customers will be able to get their products delivered at select stations, so they can collect them at their convenience. The arrangement is expected to come in handy for those who make online purchase, but are generally not home to receive products ordered. Now, consumers can ask the portals to get their purchases delivered at designated metro terminals. 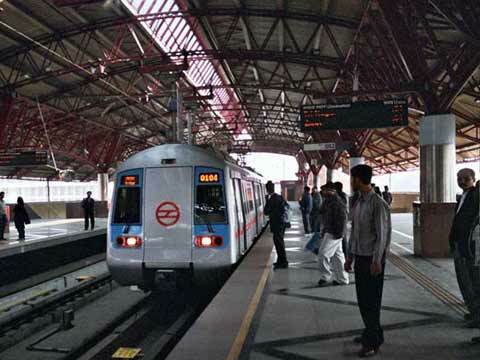 Delhi Metro Rail Corporation (DMRC) official said that payment on delivery option, using credit or debit cards will also be provided to the customers at the 'Automated Parcel Delivery Terminals' at 10 stations including those in Gurgaon and Noida. A metro official said that the move to provide last mile delivery option to the customers of e-tailers will act as a revenue generation model for DMRC and provide the space for setting up these kiosks. According to the arrangement, customers will be given the option to get their merchandise delivered to these designated terminals during their online purchase itself. For consumers who opt for this service will receive a unique identity number (One Time Password) via SMS or e-mail after confirmation of purchase. Then the customer will be able to receive his/her order from the selected terminals by providing the password to the staff. According to Metro authorities details were being worked out and also declined to name any e-commerce sites, several of which have come up and grown increasingly popular in recent times.